Prices were about 37 cents higher this time last year. Unless you drive a hybrid, you have likely noticed the jump in prices at the pump. Gas prices have pushed back over the $4 mark and AAA says you can blame last week's refinery fire. California’s average price for a gallon of regular, unleaded gasoline is $4.10. That is up 40 cents from the last AAA survey on July 10. 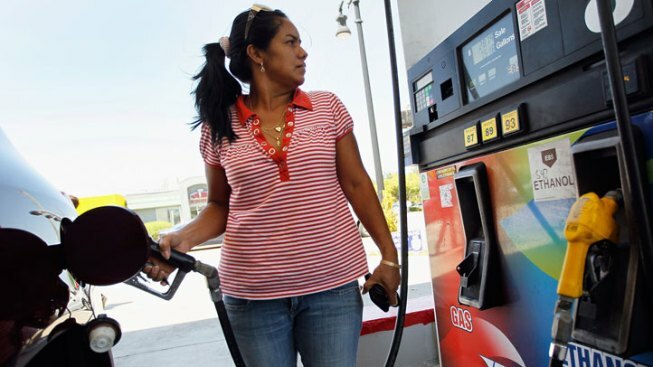 “The recent fire at the Chevron refinery in Richmond has created a short-term spike in gas prices across many parts of the Pacific Northwest and Nevada,” said AAA's Cynthia Harris. “It still remains to be seen how long the impact of the fire will be felt." The refinery is not the only reason for the spike. Positive economic news for the country and higher global crude oil prices are also cited for the increase as well as a new concern about geopolitical tensions with Iran and what that could potentially mean to oil supplies in the Middle East. For the record, prices were 37 cents higher this time last year, according to AAA. The cheapest gas in Northern California is Modesto where regular is $4.00 per gallon. Eureka has the highest average price at $4.37.